Capture all those special moments on your wedding day by placing one of these cameras on each of your reception tables or in a basket near the reception/dance entrance. 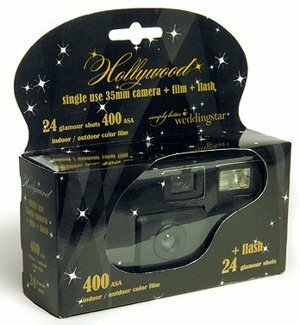 The 24 exposure disposable cameras feature a flash which means they will work indoors or out. They are black with gold metallic stars on the camera jacket...inspired by Hollywood. 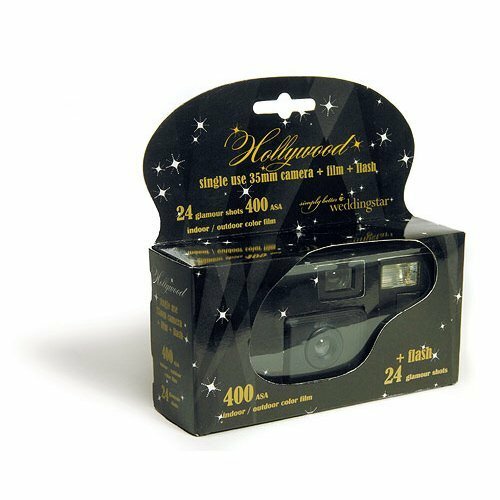 Pair it with our Hollywood camera table sign to give your guests instructions.